[Del artículo: Neurological Complications After Regional Anesthesia: Contemporary Estimates of Risk. Anesth Analg 2007;104:965–74. 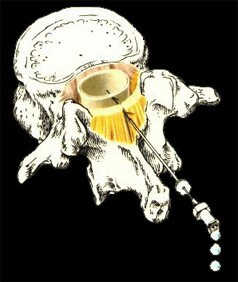 Regional anesthesia (RA) provides excellent anesthesia and analgesia for many surgical procedures. Anesthesiologists and patients must understand the risks in addition to the benefits of RA to make an informed choice of anesthetic technique. Many studies that have investigated neurological complications alter RA are dated, and do not reflect the increasing indications and applications of RA nor the advances in training and techniques. In this brief narrative review we collate the contemporary investigations of neurological complications after the most common RA techniques. The sample size of the studies that investigated neurological complications after central and peripheral (PNB) nerve blockade ranged from 4185 to 1,260,000 and 20 to 10,309 blocks, respectively. The rate of neuropathy after spinal and epidural anesthesia was 3.78:10,000 (95% CI: 1.06 –13.50:10,000) and 2.19:10,000 (95% CI: 0.88 –5.44:10,000), respectively. For common PNB techniques, the rate of neuropathy after interscalene brachial plexus block, axillary brachial plexus block, and femoral nerve block was 2.84:100 (95% CI 1.33–5.98:100), 1.48:100 (95% CI: 0.52– 4.11:100), and 0.34:100 (95% CI: 0.04 –2.81:100), respectively. The rate of permanent neurological injury after spinal and epidural anesthesia ranged from 0–4.2:10,000 and 0–7.6:10,000, respectively. Only one case of permanent neuropathy was reported among 16 studies of neurological complications after PNB. Our review suggests that the rate of neurological complications after central nerve blockade is 4:10,000, or 0.04%. The rate of neuropathy after PNB is 3:100, or 3%. However, permanent neurological injury after RA is rare in contemporary anesthetic practice.